It was a day full of activity again with each and every classroom buzzing with energy! The morning started with the children from KS1 joining the lovely Mrs Geach in assembly in order to hear about the story of ‘The Hare & the Tortoise’. The children discussed the message of the story and how it is important not to rush, relating it to their work back in class as well as decisions they may need to make throughout their day. Later in the day the children in Oak continued to investigate electricity, today predicting materials which they thought would act as either insulators or conductors. There were some delicious smells wafting from the staffroom kitchen just before lunch as a group of children from across Year Three followed a set of instructions in order to bake their own woolly mammoth biscuits. In the downstairs hall a number of PE lessons took place. The children in Hedgehogs developed their ability to move along and off low level apparatus with a good landing whilst the children in Woodpeckers took part in a lively dance lesson where they worked in groups to choreograph their own routines. In the afternoon the Beech classroom saw a number of students from Westcliff High School for Boys join the children in order to explain and conduct a number of experiments. the children used equipment found in KS3 classrooms such as bunsen burners and microscopes and were enthralled by the activities. Meanwhile, in the Foundation Stage and KS1 classes students from Southend High School for Boys spent the afternoon listening to children read. Thank you to all of the students from both schools for once again giving us their time. There was more science taking place in Hawks as the children investigated soil, discovering that it is made up of rocky substances and organic matter whilst downstairs Mr B was lucky enough to end his afternoon listening to children read, today from Badgers. Well done children, Mr B was thrilled with your progress and enthusiasm. 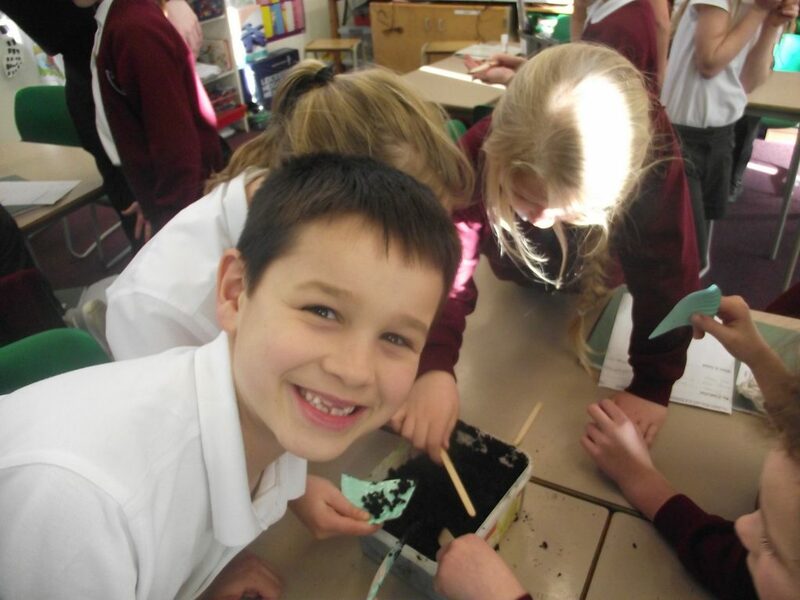 After school Woodpeckers classroom hosted the latest in our ‘Construction Clubs’ where the children junk modelled and experimented with other construction materials such as clixi and duplo. Upstairs there was another session of the performing arts group ‘Steps Ahead’ where the children began acting through a production which they will showcase at the end of the term.